Yes, really—we've got picks for even your most zealous reader. Even devoted bibliophiles haven’t read everything. It’s possible they haven’t yet experienced the whimsical pleasure of George Saunders, or the fantastical world of a Diana Gabaldon romance, or the genius of a Denis Johnson short story. If your intended recipient really has read it all, they might thrill to a volume of criticism that won’t only shed new light on old favorites, but inspire marvel at a bygone era when writers were a cause célèbre. Yes, there’s something—and then some—for your most ardent reader. From the founder of the eponymous book club and online community comes this collection of essays by black women authors. Literary stars like Jacqueline Woodson, Rebecca Walker, and Barbara Smith offer inspiring words for self-discovery—whether to fire up a feminist side, or deepen an appreciation for diversity. A short story from the bestselling novelist and screenwriter, Fox 8 introduces readers to a fox with a conscience. Using the way kids develop language as a device for his main character’s journey, Saunders creates a fable that has fun with vocabulary. This story is a total feast for the linguaphile in your life. For the literary Luddite, this journal is an attractive tag-along to book club meetings and the perfect bedside table accessory—for those middle-of-the-night musings, or a place to record completed titles. Suggested readings are listed in the back—in case the recipient hasn’t, in fact, read everything—and with this, they can keep track of loves, hates, and everything in between. Give the gift of brand-new spine-chilling suspense by an Edgar Award-winning crime writer whose cross-genre work has lifted her to cult status. This book begs self-examination, forcing us to ponder how well we really know ourselves and our tendencies. It might be the one you “can’t put down,” even though it’ll make you get out of bed to double-check that the doors are locked. Francophiles and mixologists can unite over this tongue-in-cheek history of 1920s Paris. Greene documents cocktails and the ex-pats who loved them—a little like an alcohol-infused survey of the Lost Generation—and even provides authentic recipes. Photos throughout the book transport you to those cafés and bars loved by Hemingway and Fitzgerald. The third in the wildly popular Outlander series, this adult fantasy-romance is rendered through a historical lens—and critics say no one does that niche better than Gabaldon. The collector’s edition features a new introduction by the author, which ought to draw new readers to her oeuvre, as well as give her fanbase a welcome update and a keepsake for their shelves. Denis Johnson fans had to wait 25 years for this story collection, a follow-up to Jesus’ Son. Published posthumously, these are ghost stories for learned eyes and ears: Johnson was beloved for his mastery of the craft of writing, and he infuses each of these tales with poetic style and grace. An expansive story set at the turn of the 20th century, Boyd’s latest novel centers on a free-spirited Scotsman and his pursuit of a Russian opera singer. Traveling between Paris, St. Petersburg, and Edinburgh against a backdrop of massive social and political change throughout Europe, Boyd’s novel reads like a classic with accessible language and modern style. When you think you’ve read it all, it’s time to read some William H. Gass. Mining through seven works of fiction and nine collections of essays, this compendium spans Gass’s career, during which he wrote nonstop and taught philosophy. His criticism reminds you why you plowed through Stendhal’s The Red and the Black and suffered Thomas Mann’s The Magic Mountain—or why you should. An uplifting story set in down-at-the-heels, post-Katrina Biloxi, Mississippi, Anatomy of a Miracle traces the path of a paraplegic who suddenly, inexplicably, gets up and walks. This “miracle” sets off a debate about what actually happened, and whether anyone dare question the circumstances. An argument about what is divine and what is merely mortal grounds this powerful book, with Miles’s journalistic chops evident on every page. ROMY WEINBERG began her career as a publicity assistant at Little, Brown in New York. Stints as Graydon Carter’s assistant at Vanity Fair, reporter at LIFE magazine, and editorial roles at This Old House and Martha Stewart Living followed. 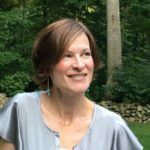 She writes about books, education, home design, food, and travel for a variety of publications, and lives in Connecticut with her husband, two children, and a Berger Picard.